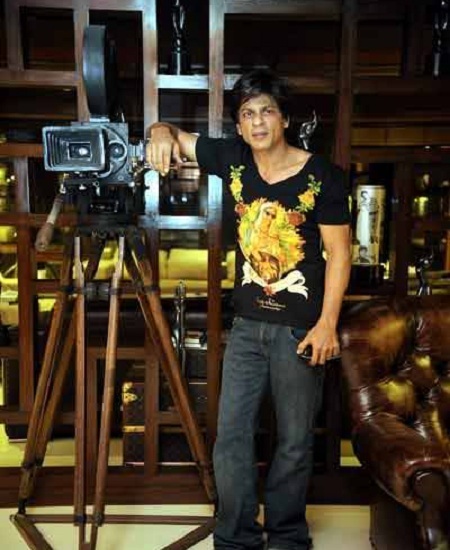 Photo inside Shahrukh Khan’s house. Photo inside Shahrukh Khan’s house at Bandstand, Mumbai. Behind Shahruk Khan are the Filmfare Awards that he has won.